Inflatable Tee Ball is a skill based interactive game. The objective is to hit the ball, which is suspended by air, into one of the openings. Make a point system and give out prizes! reat for corporate competitions, festivals, or just to challenge the neighbors in your backyard. 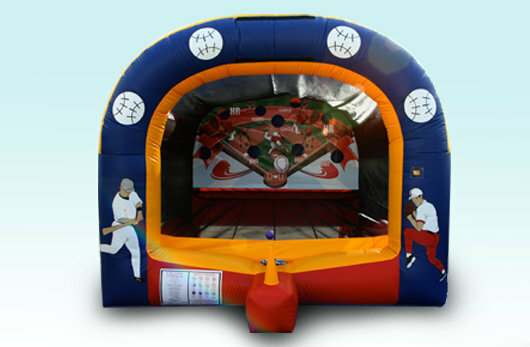 Inflatable Games and interactives make a good pairing with your bounce house or water slide.